The Polymerase Chain Reaction (PCR) machine, shown above, is used to replicate a large quantity of a specific strand of DNA. The PCR Machine performs this task by first splitting up the DNA. Since DNA is double stranded, and melts to become two seperate strands at a certain temperature, the PCR Machine heats the DNA to the specific temperature so that the DNA becomes to seperate strands of DNA. Then the PCR Machine uses primers, which are strands of DNA that contain a certain number of nucleotides, to adhere to the two seperate strips of DNA. Then the polymerase, which is an enzyme used to fill in the holes of DNA, completes the strand, resulting in two seperate, double strands of DNA. When the wire from the board for the LCD screen was unplugged from the main board, the LCD screen on the machine turned off and went blank. 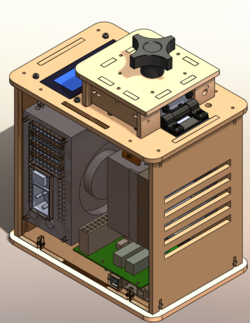 When the white wire that connects the main board of the machine and the temperature system was unplugged, the temperature reading decreased and was not accurate. We administered a test run on October 25 and followed the protocol provided. Everything ran smoothly as the numbers on the Open PCR display screen matched the numbers shown on the computer. One minor inconsistency was that the estimated time to complete the test did not match the actual time it took to complete it. Polymerase Chain Reaction (PCR) is a process that uses DNA polymerase to synthesize a large number of copies of a target DNA sequence. PCR is dependent on short DNA fragments called primers. 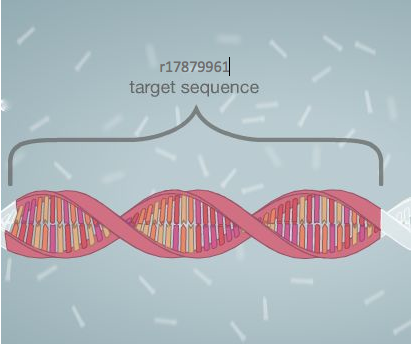 After the DNA has been denatured by heating and then cooled to a temperature suitable for the primers to bind to their complementary sequences, the primers bind to areas adjacent to each side of the targeted DNA sequence. 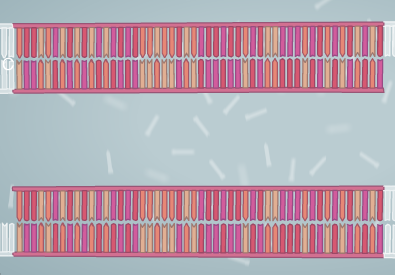 Once the primers are in place, the polymerase extends them into large complimentary strands. The DNA is then denatured once again, then cooled, the primers bind to the complimentary sequence and then the polymerase extends them. Repeating this process results in an exponential amplification of the target DNA sequence. Collect biological samples from patients or target group. Combine samples with reagents primers to the sample. 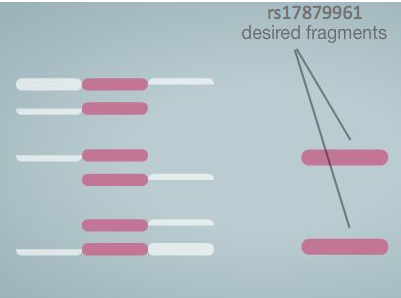 These primers will enable the DNA to "unzip" and duplicate the target region using the extra base pairs mixed into the solution. 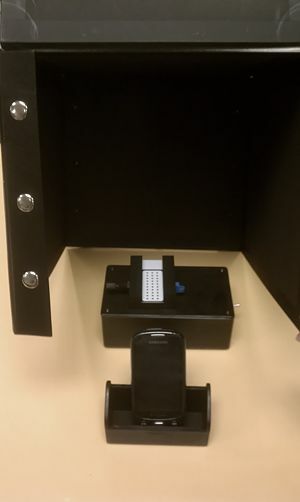 Place the DNA sample and reagents into a PCR machine, and program the machine to carry out the desired sequences. Allow the machine to cycle. Once complete, collect the amplified DNA and test. In our experiment, a PCR master mix from Promega containing bacterially derived Taq DNA polymerase, dNTPs, MgCl2 and reaction buffers was used. The sequence r17879961 represents a specific sequence where a Thymine is replaced by Cytosine due to a missense mutation on chromosome 22. It affects gene CHK2 that is linked to colorectal cancer. A primer binds to a specific sequence on the template DNA and tells Taq polymerase where to begin reading and adding nucleotides to synthesize a new strand of DNA. Primers are very specific in that they can only bind to a certain sequence. A backwards primer consists of 20 nucleotides that specifically are ACT TCT TAC ATT CGA TAC AT. The forward primer is TGT GAT CTT CTA TGT ATG CA. These primers will only bind to that specific sequence of r17879961 where the Cytosine is present and not the Thymine. 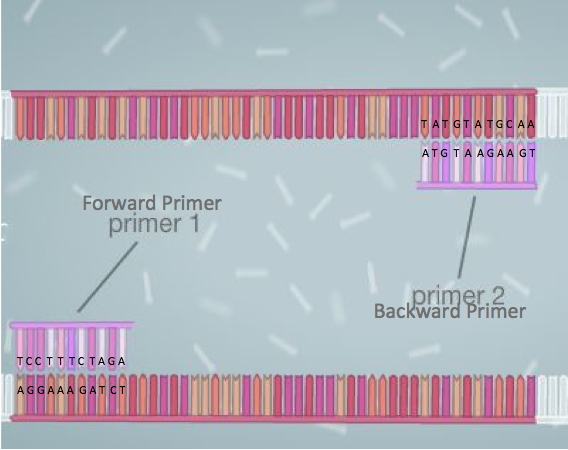 If the sequence is present, the primers will bind to both leading and lagging strands of the template DNA. Taq polymerase can then bind and begin synthesizing the strand. The test will come out positive because the DNA will synthesize to create double stranded DNA that the SYBR Green I dye will then bind to. This will cause the DNA to fluoresce and yield a positive result. If the r1789961 SNP is not present, the primer will not bind to the DNA template. Because the primers tell Taq polymerase where to replicate, Taq polymerase will not have anywhere to bind. Replication will not occur with the product of a double-stranded DNA, but linearly. The SYBR Green I dye only binds to double-stranded DNA, so it will not show because it is single-stranded. There would not be enough double-stranded DNA to fluoresce if the cancer gene is not present. Therefore, the test will display a negative result. Figure 1 shows the sequence of DNA containing the sequence containing the missense that leads to colon cancer. 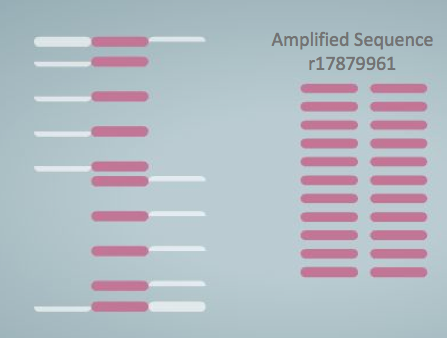 Figure 2 shows the DNA primers specific to the sequence attaching. 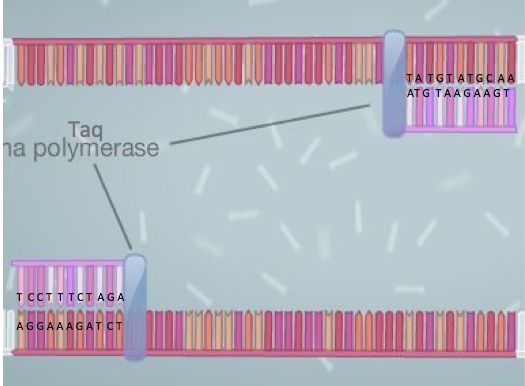 Figure 3 shows Taq polymerase recognizing where to attach due to the primers. Figure 4 shows a successful double-stranded replication of the original DNA. Despite Patient 1's second sample being positive for cancer, patient 1 is more than likely without cancer and this repetition being positive is due to an error like contamination. More testing would be necessary to find out. Sample = The samples were the various distinct sources of DNA measured. Integrated Density = Using the ImageJ software, the image was split into its various color components. This value represents the amount of 'green' light measured from the sample with the blue LED light shining through the sample and subtracted from the background value, which was 'black' in color. DNA μg/mL = The concentration of DNA in the sample as micro-grams per milliliter. Conclusion = Samples with a concentration above a certain threshold were deemed "positive" for the cancer, while the samples with DNA concentrations below the threshold were considered to be "negative". This page was last edited on 15 November 2012, at 14:52.